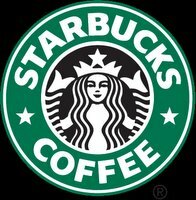 Starbucks Entertainment has joined with Lionsgate and 2929 Productions to release the film "Akeelah and the Bee," a story about a girl succeeding against all odds to compete in the National Spelling Bee. Blacks often succeed 'against all odd' it seems. And of course blacks have to be two or three times better at this cliche. But we digress. Morpheus, uh, Lawrence Fishburn trains Neo, uh, an inner city black girl, to compete in the bee. Starbucks is to be commended for financing this movie. Go see the film. It opens on April 28. South Park: Cartoon Cultural Pollution?